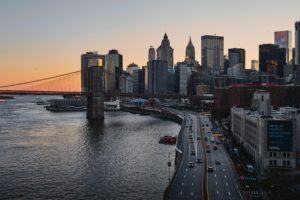 If you are planning to move to New York and you are wondering what might be the perfect place to live, this article will introduce you to the advantages of moving to Manhattan. Whatever the reason for relocating is: job, family, education or just fun and discovering new places, this city will certainly suit all your needs, especially Manhattan, the center of the Big Apple. Manhattan has shown to be the interest and the inspiration of many famous people, through the centuries. With all its diversities, it makes a very good and unique place for living. People of different nationalities, religious and cultural backgrounds all meet and live in one place. The greatness of it puts a shadow on the other boroughs of New York such us: Bronx, Brooklyn, Queens, and others. Although quite expensive and crowded, it is still a place where you can enjoy a peaceful and quiet life. It is a place where you can craft your own personal space and easily adjust to the community. 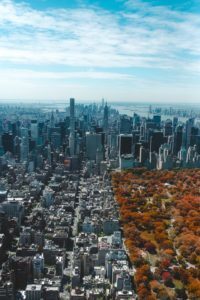 In the bellow text, you can get familiar with just a few, of many, advantages that Manhattan can provide. For all those art and culture lovers this is the place to be. Manhattan is the home of probably the most famous galleries, museums, and theatres worldwide. Museum on every corner- great advantages of moving to Manhattan. If you are interested in American 20th-century art, you have to visit the Whitney Museum of Art. Do not also miss the Museum of Modern Art (MoMA) where you can see some of the greatest pieces of art. Few of those are Vincent Van Gogh’s – The Starry Night, Henri Rousseau’s- The Sleeping Gypsy, Salvador Dali’s- The Persistence of memory etc. There are also: The Metropolitan Museum of Art, Madame Tussauds New York museum and many other. Theater nights. Well known Broadway theater, which you can find in Midtown Manhattan will take your breath for sure. We can also highly recommend the Majestic theatre in its ‘modern Spanish’ style. Broadway Comedy Club which showcased big names such as Bill Cosby and Robin Williams. Can you imagine how entertaining that place can be? By taking the walk down the 5th Avenue, you will be amazed by the dynamics of this city. It is a major thoroughfare in Manhattan and you will realize the value of relocating to Manhattan. If you are on a budget, and all of the things above sound too costly, please note that there are plenty of museums and galleries where the entrance is free of charge. You just need to look them up. Relocating can be difficult, especially for those who have families and children. Worrying about moving your kids to another school or college is understandable as education is an important part of one’s life. With around 170 high-quality schools for children of different age groups and 100 high schools New York City has in its offer, there are a lot of choices for your kids. If we are talking about higher education, NYC is the home of one of the oldest Universities in America – Columbian University in northern Manhattan, that can provide quality education and knowledge. Walking through Manhattan is a unique experience. 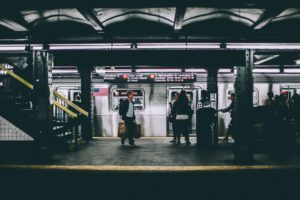 But for those who are not so into walking long distances, public transportation is available everywhere and is one of the advantages of moving to Manhattan. Connection to other boroughs is working perfectly fine, so you will get anywhere you want in the shortest time possible. The fact that in Manhattan over the 80% of people are using public transport, gives you a picture of how things work around here. There will be no need to own a car with such good public transportation. If you like driving- renting a car is always an option. And also, yellow taxies are waiting for you, which is much more affordable. Diversity is one of the words that best describe Manhattan. Manhattan is a place of different ethnicities, cultures, and religions. You can hear different languages, eat different food from various parts of the world in great Manhattan restaurants. It’s a place where you can get familiar with different customs and ways of living. But everything synchronized and in unison. Perfect for making new friendships and learning new things. In Manhattan having fun is an easy thing to do. Just think what you would like to do and Manhattan will give you the best fun ever. Nightlife – Not only an educational and cultural hub but one of the best places for a nightlife. The crazy and positive vibe that is moving people can be felt everywhere. If you are into nightclubs we can recommend you 230 Fifth; this is a rooftop exclusive place which is a host of great parties. Or you would rather go for a jazz night in Dizzy’s Club Coca-Cola in Lincoln Centre or for a few drinks in some bar? There are plenty of them, just explore Manhattan and you will find it. Central Park walking– The best way of relaxing and enjoying in nature is exploring this wonderful park. Taking a walk in this park is always quite a new experience. Hobbies– If you are in doubt that such a crowded and big place cannot provide you with the time and place for your hobbies, you are wrong. Every kind of sports, courses, and classes that you ever wanted to do, you can find here. All you have to do is just choose what is the best for you and let yourself go. Possibilities are truly endless. You might even have a hard time choosing. One of the Advantages of moving to Manhattan is having options. On the other hand, having options is not that bad, right? 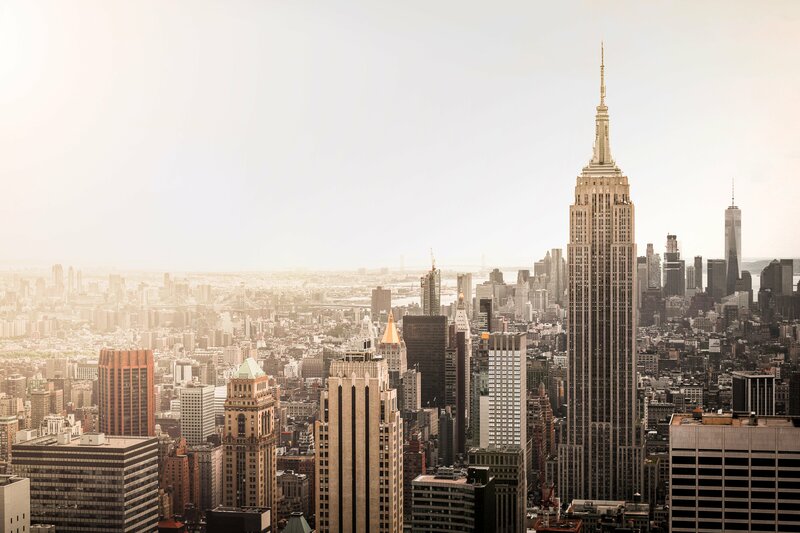 Attractions – Maybe the most visited places in Manhattan are the Empire State Building, Top of the rock and One World Trade Center Observatory. And just imagine that you are there at night. You can see astonishing night skyline from the roof of the city. Advantages are many, but the magic is for you to discover in your own way and how best suits your personality and lifestyle. There are so many things to see and so many places to visit in Manhattan. Moving to Manhattan sounds great, doesn’t it? You can do anything that you ever want at any time, in a place that never sleeps. So start making your moving plan. Therefore, pack your things and make use of all the advantages of moving to Manhattan. They are waiting for you.